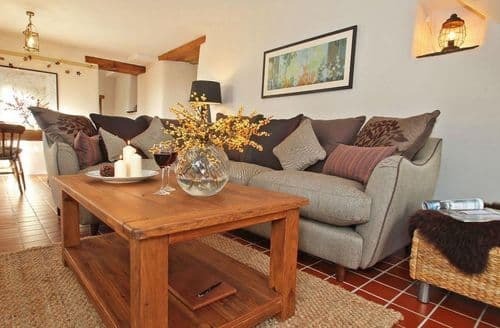 What our customers are saying about our Holiday Cottages In Menheniot To Rent. 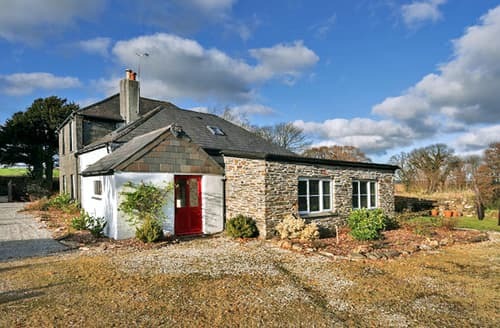 "Just returned after spending a week over Christmas at this glorious, clean, well equipped cottage, and we didn’t want to come home. 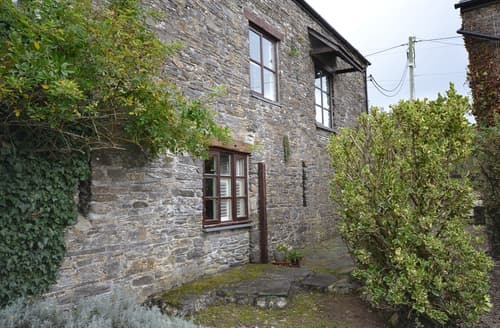 The cottage is located in a secluded position,alongside the owners property, at the end of a long bumpy lane( not suitable for low vehicles) but is well worth it, if you don’t mind the muddy car and very slow approach. We immediately felt at home in this beautiful property, very modern and homely, we especially loved the log burner on a rainy winter Christmas night, and there was a large stock of free wood. The hot tub was just big enough for 3 people, but a lovely start to Christmas morning. Bedrooms were beautifully decorated, and my word, what comfortable beds, my daughter has already put an order in for new mattress, duvet and pillows to try and replicate her experience. Being away for Christmas, and eating in for the whole week, and with Christmas baking it was essential to have a well equipped kitchen, and we weren’t disappointed. It was lovely to have every utensil you could think of, rolling pin, ice-cream scoop, pizza cutter... they had it. Even had a tassimo coffee machine which was lovely. Loved the welcome package, sparkling wine, biscuits, tea and some home made mince pies. And we made full use of their selection of board games over the Christmas period, we are actually off to buy our own of one of them today. I loved the book that the owners leave asking for anything that has been broken or isn’t quite working right, and it all looks like it’s kept on top of and repaired ASAP . We have stayed in properties and think this could be better etc...but don’t like to say, we just wouldn’t return, so it’s nice to know your listened to. 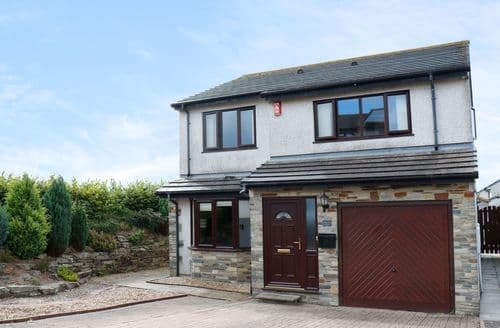 We will definately be returning to this property, we loved being here for Christmas, but would like to visit in the better weather to explore places of interest and beaches, as the rain stopped us on this visit, we just managed a trip to Plymouth, which is lovely for shopping. Don’t like to share this property but really think it deserves a review 10/10. Thank you for a fabulous enjoyable stay , will be back ." 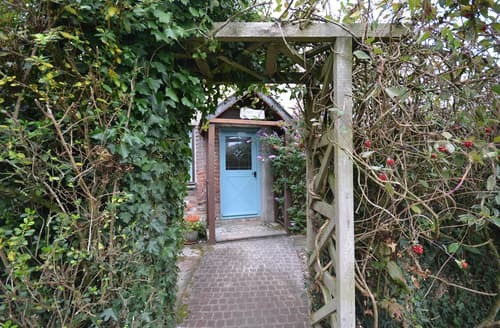 "The cottage is located in a secluded position,alongside the owners property, at the end of a long bumpy lane( not suitable for low vehicles) but is well worth it, if you don’t mind the muddy car and very slow approach. 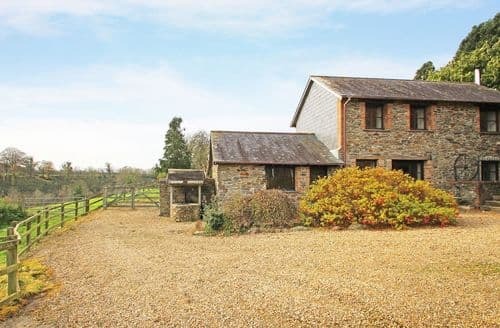 We immediately felt at home in this beautiful property, very modern and homely, we especially loved the log burner on a rainy winter Christmas night, and there was a large stock of free wood. The hot tub was just big enough for 3 people, but a lovely start to Christmas morning. Bedrooms were beautifully decorated, and my word, what comfortable beds, my daughter has already put an order in for new mattress, duvet and pillows to try and replicate her experience. Being away for Christmas, and eating in for the whole week, and with Christmas baking it was essential to have a well equipped kitchen, and we weren’t disappointed. It was lovely to have every utensil you could think of, rolling pin, ice-cream scoop, pizza cutter... they had it. Even had a tassimo coffee machine which was lovely. Loved the welcome package, sparkling wine, biscuits, tea and some home made mince pies. And we made full use of their selection of board games over the Christmas period, we are actually off to buy our own of one of them today. I loved the book that the owners leave asking for anything that has been broken or isn’t quite working right, and it all looks like it’s kept on top of and repaired ASAP . We have stayed in properties and think this could be better etc...but don’t like to say, we just wouldn’t return, so it’s nice to know your listened to. 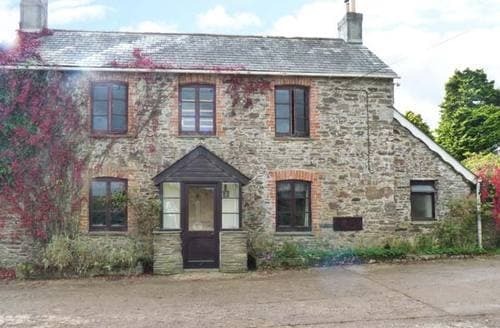 We will definately be returning to this property, we loved being here for Christmas, but would like to visit in the better weather to explore places of interest and beaches, as the rain stopped us on this visit, we just managed a trip to Plymouth, which is lovely for shopping. Don’t like to share this property but really think it deserves a review 10/10. Thank you for a fabulous enjoyable stay , will be back ." "• telephone communication with owners was not friendly or welcoming, bordered on rude. •on arrival all the bed linen was covered in hairs, human and dog. As was skirting, overall level of cleanliness was very bad. •telephoned to ask for a change of bed linen, (unfriendly again on the phone) second set arrived also covered in hair. In the end we had to go out and buy a set of bed linen(£55) •someone elses dog was being allowed to go to the toilet outside the front door, everyday there was fresh poo and our luggage and our dog ended up walking in it. I picked up someone else's poo on the first day but it continued all week of our stay. •came back to a cold house, no hot water, boiler stopped working due to running out of gas during our stay, if we'd been told where the owners lived we wouldn't have had to walk up the road to find phone signal, in the rain. •the cleanliness standard and attitude of the owners was abysmal. We have photos of all the bed linen and general filth which I will forward to you. 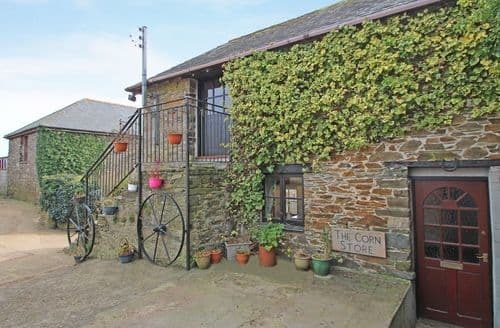 We are booking to stay in Cornwall again this year, I would need a great deal of reassurance to be safe booking through Sykes again that this is not the standard across all your cottages. 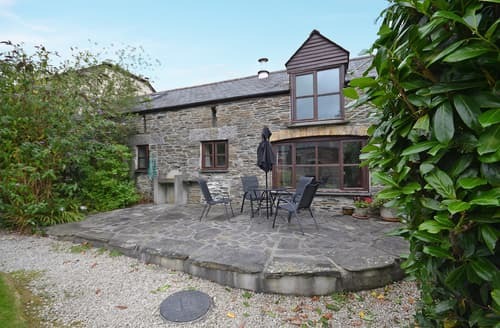 We are in Cornwall to renovate a holiday home we've bought, we had contacted Sykes to consider letting with you, not impressed so far!" "•on arrival all the bed linen was covered in hairs, human and dog. As was skirting, overall level of cleanliness was very bad. •telephoned to ask for a change of bed linen, (unfriendly again on the phone) second set arrived also covered in hair. In the end we had to go out and buy a set of bed linen(£55) •someone elses dog was being allowed to go to the toilet outside the front door, everyday there was fresh poo and our luggage and our dog ended up walking in it. I picked up someone else's poo on the first day but it continued all week of our stay. •came back to a cold house, no hot water, boiler stopped working due to running out of gas during our stay, if we'd been told where the owners lived we wouldn't have had to walk up the road to find phone signal, in the rain. •the cleanliness standard and attitude of the owners was abysmal. We have photos of all the bed linen and general filth which I will forward to you. 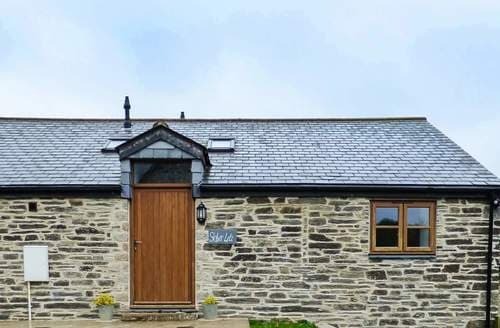 We are booking to stay in Cornwall again this year, I would need a great deal of reassurance to be safe booking through Sykes again that this is not the standard across all your cottages. 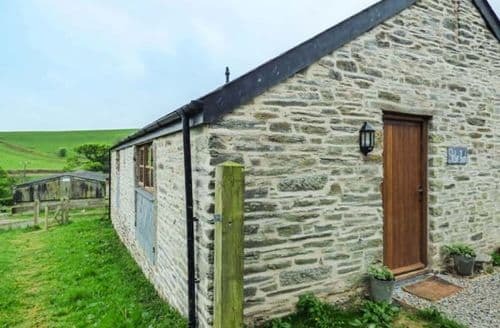 We are in Cornwall to renovate a holiday home we've bought, we had contacted Sykes to consider letting with you, not impressed so far!"